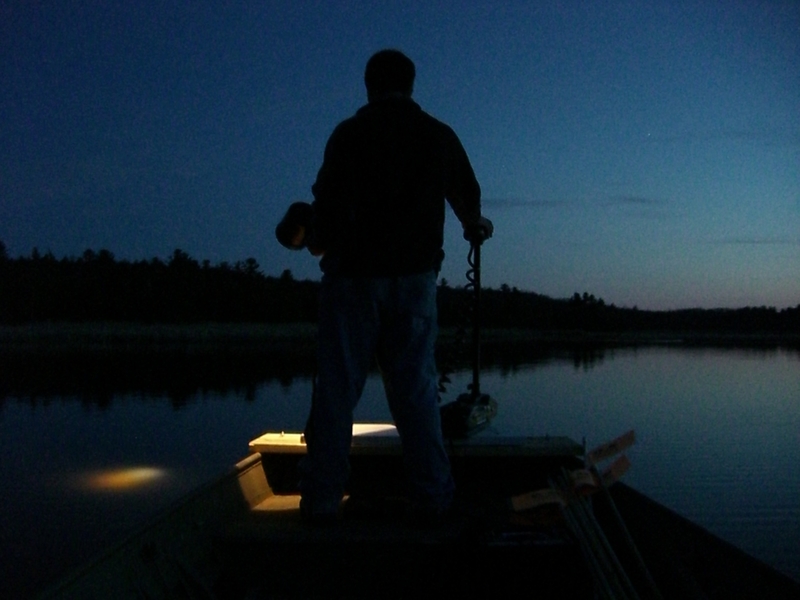 Muskies prepare to spawn at night in a northern Wisconsin lake. Muskellunge are the largest predatory fish in Wisconsin, inspiring thousands of anglers to pursue them across their range. Yet, they are also one of the most elusive gamefish. Muskies are so few and far between that anglers only catch one every 27 hours of fishing! With such low densities, small changes can mean big differences in the populations that fishermen so zealously pursue. 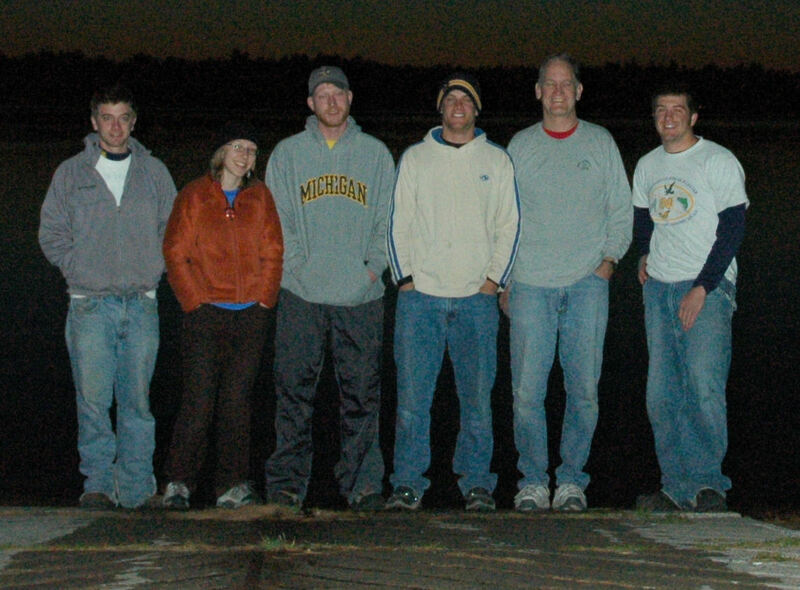 This is the story of a team of how a team of researchers from University of Michigan, Wisconsin DNR, and the Musky Clubs Alliance joined together to study these amazing fish and use new technology to improve muskellunge management. A major problem facing muskellunge is decreasing natural recruitment – the number of successfully hatched fish that grow to a legal size for fishing. One major bottleneck occurs during spawning, when muskellunge scatter up to 265,000 eggs apiece along the bottom of a lake or river. These eggs are fertilized by a male and hatch a few weeks later. 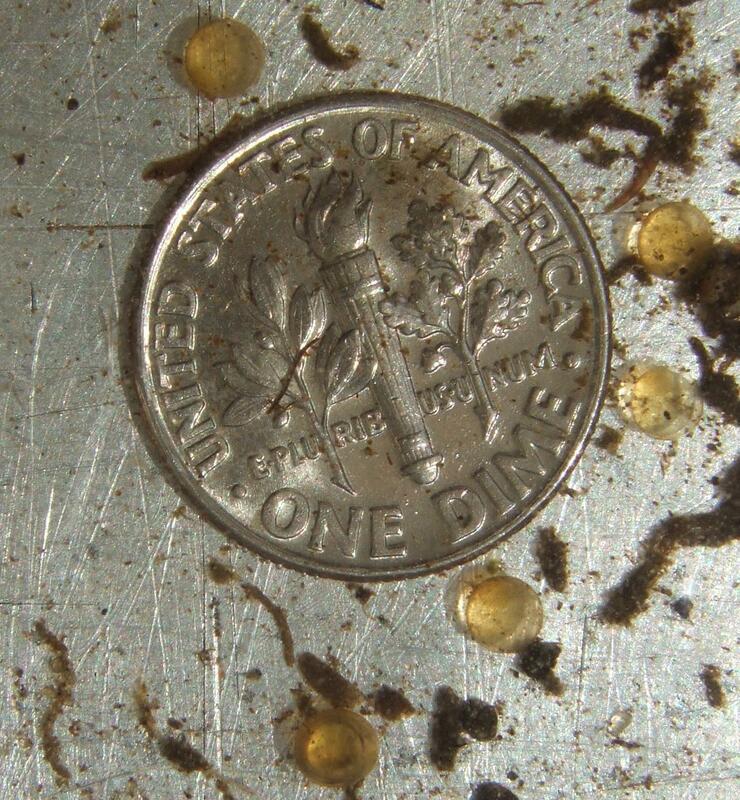 During this time, the eggs are susceptible to poor water quality, predators, and sedimentation. Studies have shown that lakes with high human footprints- cabins, urban development, etc.- have lower recruitment suspected to be caused during the early stages of musky’s lives. However, the details of “preferred” muskellunge spawning habitat were poorly understood, leaving the Wisconsin DNR with difficult challenges in managing over 350 lakes with naturally reproducing muskellunge. The agency didn’t have the manpower to conduct spawning habitat surveys on such a massive number of lakes, so they needed a way to quickly and efficiently identify spawning habitat. Together, we set out to better understand the spawning habitat of these fish through a series of surveys and fisheries analyses. 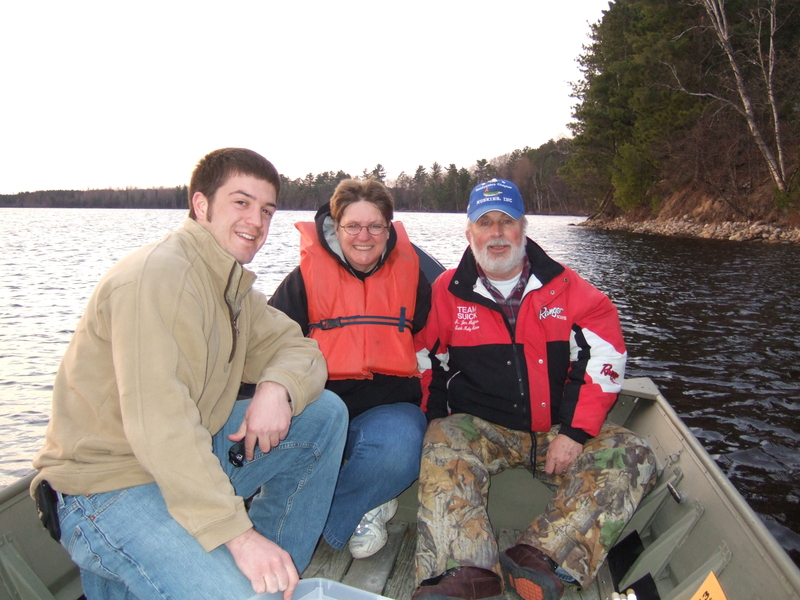 In the early spring of 2007 and 2008, over 50 volunteers from the Wisconsin Musky Clubs Alliance, Wisconsin DNR employees, and University of Michigan students joined together to survey almost 30 lakes in northern Wisconsin. 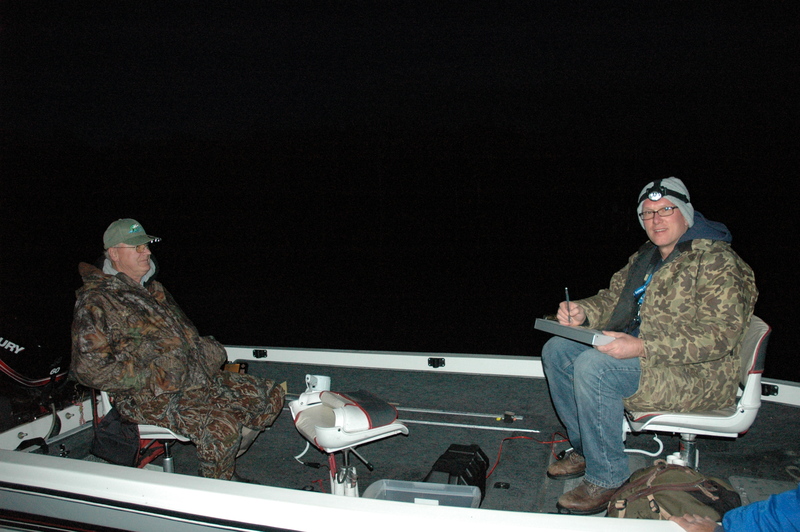 Muskies generally spawn at night, so we conducted spotlighting surveys of the shallow water on each lake. Muskellunge spawn by swimming alongside each other and then releasing the sperm and eggs simultaneously to be fertilized. As the biggest, baddest fish in the lake, they often didn’t even react to us and allowed many opportunities to view 50”+ fish swimming directly below our boat! Using GPS units, we marked the location of each musky. We came back during the daylight and checked each GPS location for eggs to make sure that muskies were spawning at these locations. Following that, I spent many, many, many hours staring at a computer analyzing data. I worked with specialists in computer modeling to learn new techniques for making maps of predicted spawning habitat and discussed our results with other musky experts to learn whether our results were consistent with their experience. Muskellunge swim alongside each other while spawning in a Wisconsin lake. 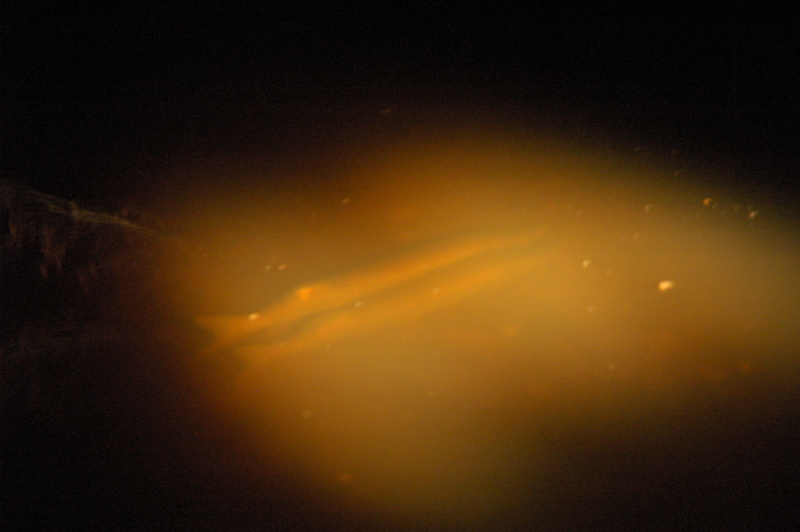 We learned that the patterns of musky spawning that we saw in our lakes were broader than the stereotypical descriptions that we had seen elsewhere. Muskies often spawned over sandy substrates, but those were also the most commonly available. They showed a “preference” for bays with moderately sloping bottoms. 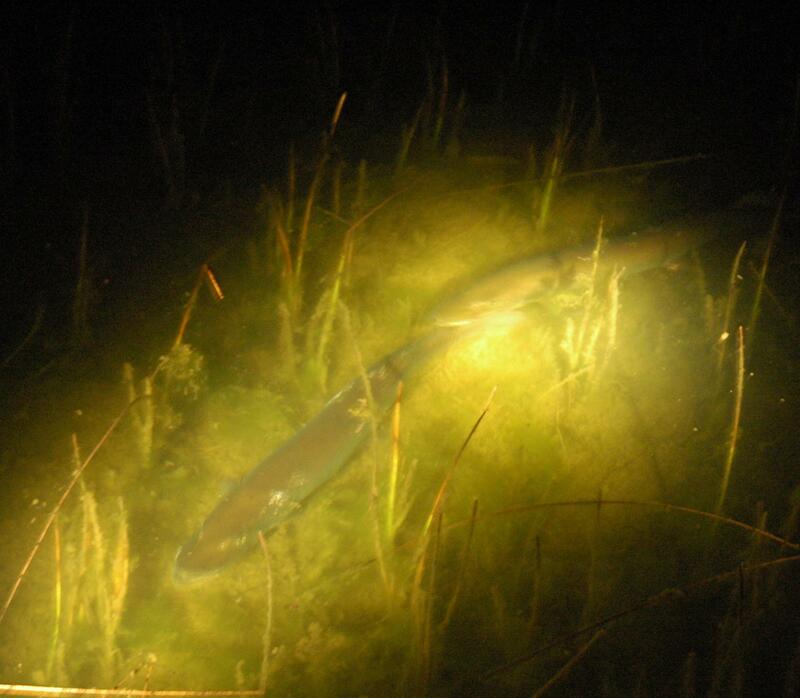 Unfortunately, we found that muskellunge “avoided” spawning near developed shorelines, indicating that people may be having negative effects on spawning success. Furthermore, we found that in lakes with high nutrient levels, muskellunge avoided spawning over submersed aquatic vegetation. These high nutrient levels can be caused by fertilizer use, trimmed lawns near lakes and their inflowing streams, and poorly designed septic systems. We suspect that the pattern we found was due to decreased oxygen levels over these decaying plant materials in nutrient-rich lakes; something that can be addressed by all who maintain shorelines on waters that flow into the lake. 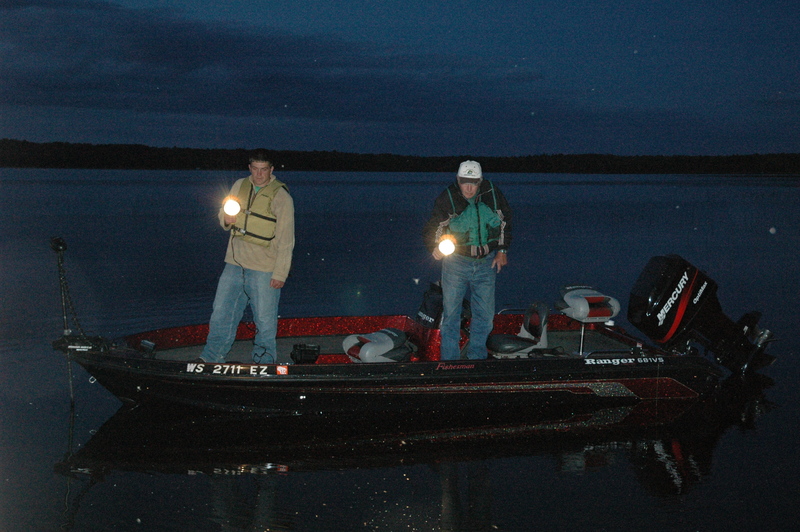 Our computer program predicts musky spawning sites in northern Wisconsin lakes. Shown above is Harris lake. Finally, we created a computer program that compared the areas we found muskies to the areas we searched, and identified the likely spawning habitats in our lakes. 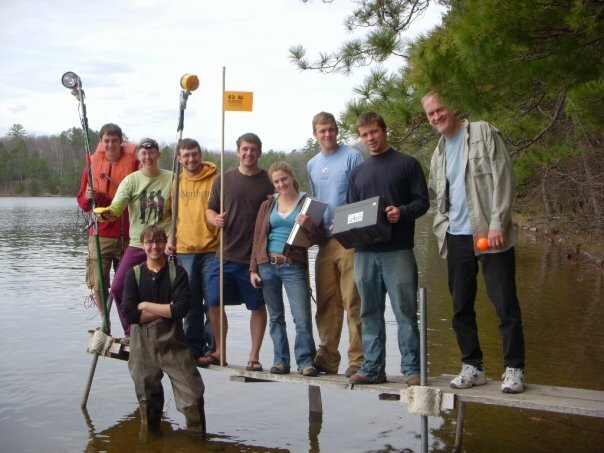 The cool part is, we built and tested this program so that it can be applied to lakes outside of our study. 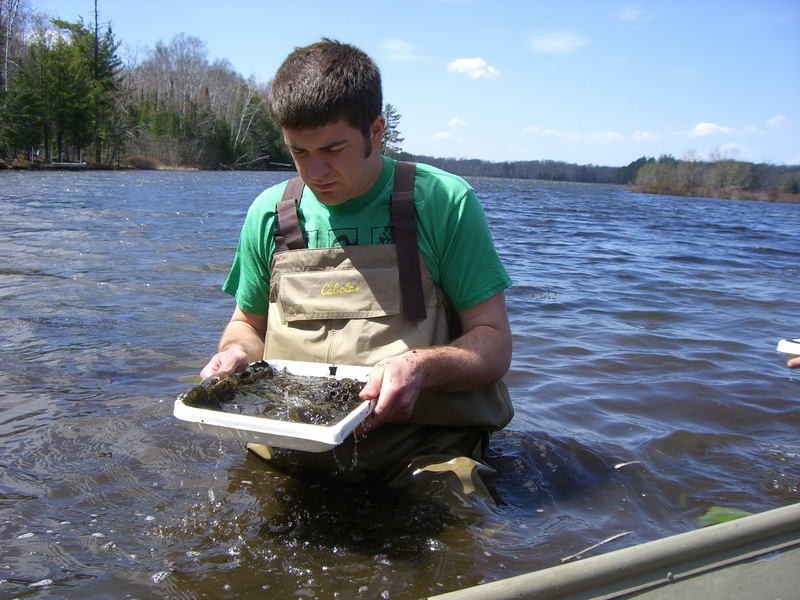 The DNR would like to take this computer program and apply it to many of their lakes. This strategy would allow them to gather information and set habitat conservation priorities with regard to muskies at a much larger scale than they otherwise could. Decreasing the impact of human development by allowing shoreline vegetation to thrive, deadfall timber to remain in the water, and minimizing runoff of sediments and nutrients are all strategies that could help muskies as they spawn to create fisheries for generations to come. 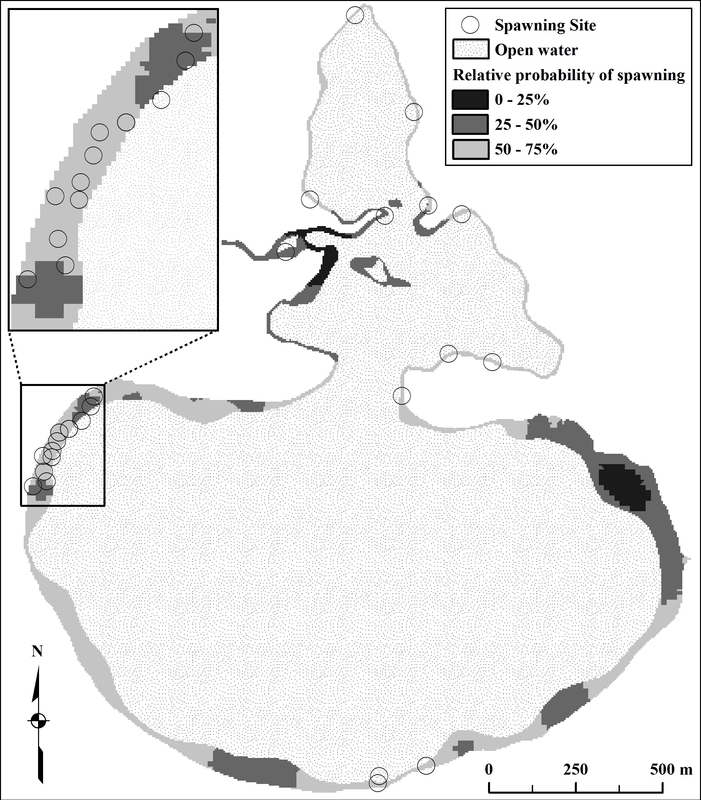 To learn more, check out the full paper: Muskellunge spawning site selection in Northern Wisconsin lakes and a GIS-based predictive habitat model. Check out the hard-working folks below that made this project possible!